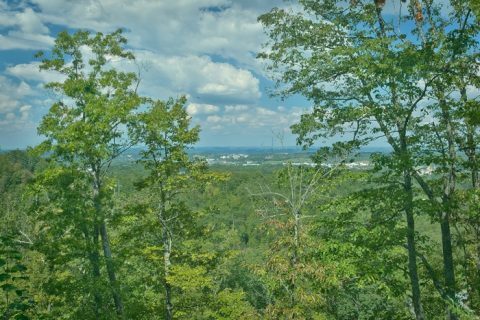 Forge Parkway in a honeymoon cabin with exceptional views! 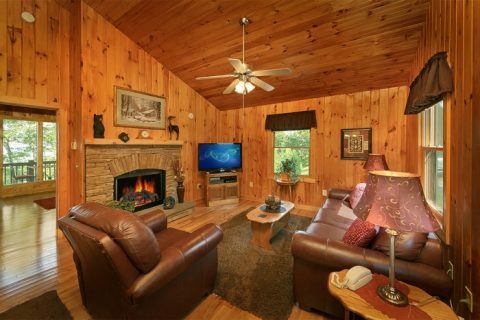 "Romantic Evenings" is a perfect cabin for couples seeking a beautiful location and convenient access to the top attractions in the region. 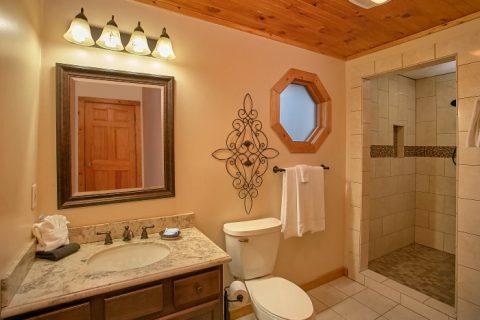 With the added benefit of luxurious amenities and quality cabin features, this romantic cabin rental with mountain views is just right for your mountain escape for two! 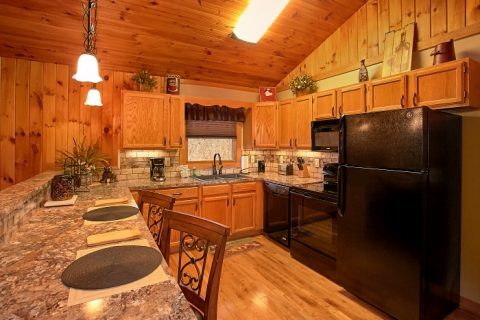 Start your day off right in the Smokies with a hearty country breakfast made in your cabin's full kitchen before setting out on your vacation adventures. 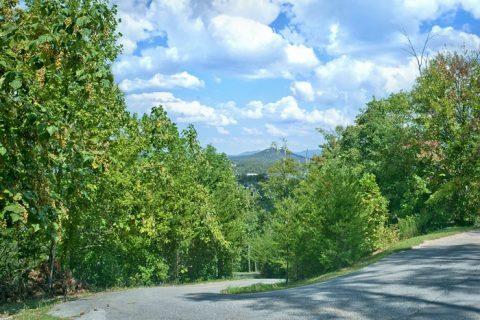 Whether you plan to visit Dollywood, The Old Mill, the Great Smoky National Park, or nearby Gatlinburg, your cabin near the Parkway places you close to all of these sights and more! 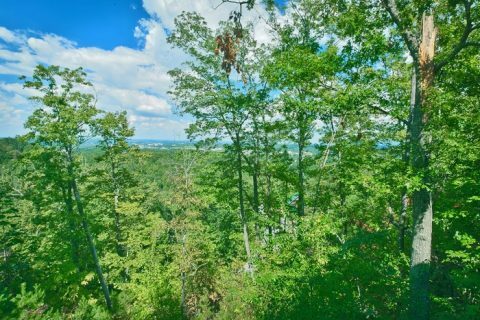 When you aren't busy exploring the beautiful Smoky Mountains of Tennessee, you can make treasured memories in your cabin in the mountains close to Pigeon Forge. 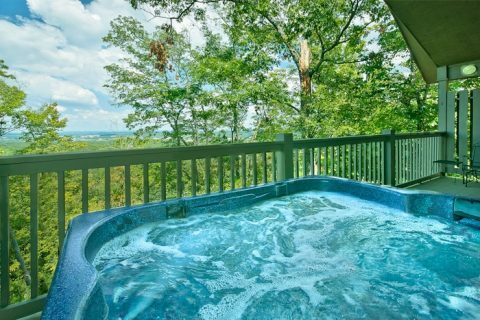 Relax in your rental's hot tub on the covered deck while you enjoy a Smoky Mountain view. 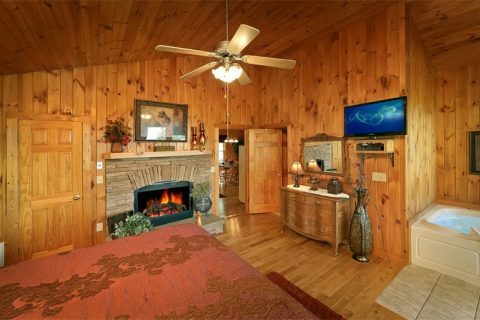 Get a great night's sleep in your cabin's king-size bedroom with a fireplace, flat screen television, and large windows to let in lots of natural light. 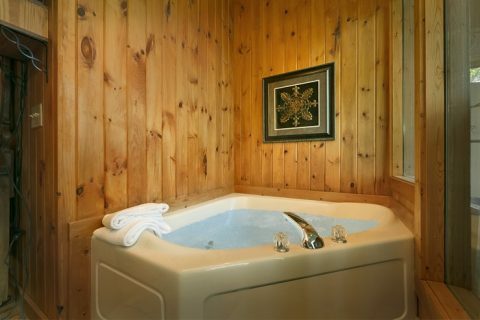 With your cabin's lovely stacked-stone fireplace, large corner jacuzzi tub, and beautiful mountain setting, this cabin is just right for romance. In your cabin's sleek kitchen with marble counter-tops, you can prepare a delicious candlelit dinner to enjoy with your sweetheart. There are also many top-rated restaurants in Downtown Pigeon Forge that are perfect for a date night. Planning a trip to the Smokies that needs more sleeping space? 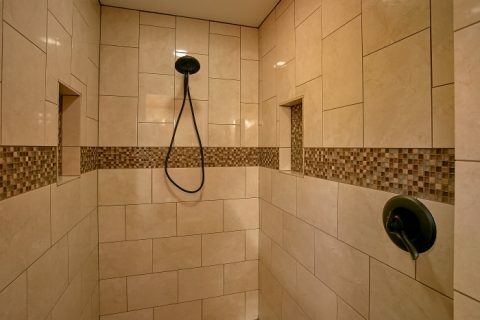 "Romantic Evenings" is close to another one bedroom cabin named "Enchanted Evenings." 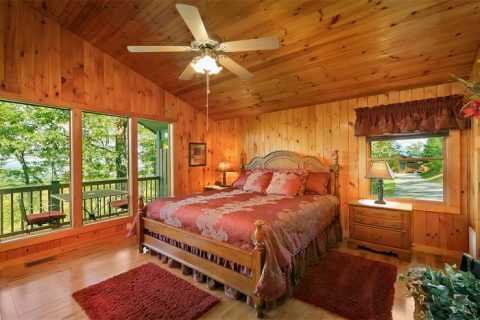 These one bedroom cabin rentals can be booked together to comfortably sleep more guests. 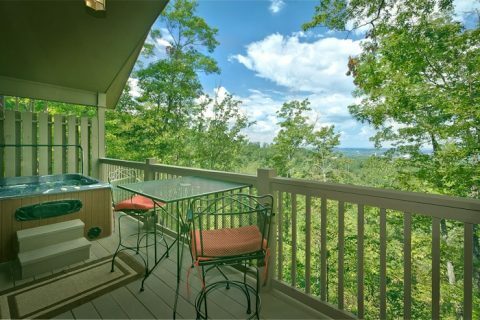 Want to save on your luxury cabin experience in Pigeon Forge? Simply book "Romantic Evenings" with Cabins USA online or by calling our reservations office to earn a special discount on your stay! 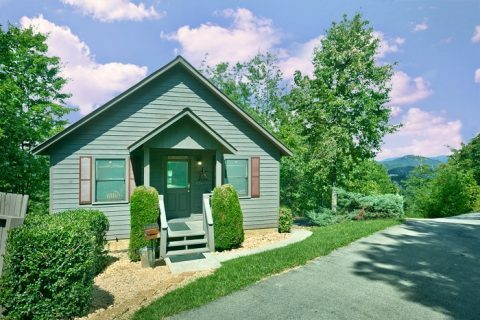 Reserve this premium honeymoon cabin for couples in Pigeon Forge and start planning a trip for memories to last a lifetime!